Dashain is one of the most anticipated festivals in Nepal. Prior to this festival you will see clothing stores with sales and special, dressy fabrics for Nepali women to make clothes. But what is it like for the average tourist? Your Nepali friends will, no doubt, invite you to their homes for the celebration. Their enthusiasm will be contagious; it sounds tempting. This year Dashain began with Suman washing and decorating my scooter. In the days that followed I saw many motorcycles, scooters and autos with the Dashain markings remaining. This is Suman cleaning my scooter prior to decorating it. These are the special things we needed for the special day. The next day my landlord's family invited me down to have ‘Tika.’ It seemed like an important thing to have, so I went downstairs to their celebration. It was quite a festive atmosphere and I visited with other guests for a bit before I was called to have my tika. I sat on the floor while my landlord said some blessings for good health and a long life for me. He and his lovely wife put red paint and rice on my forehead, flowers on my head and grass over my ear. Then they gave me 55 rupees. I got up and visited a bit more prior to a traditional dinner. I noticed the goats. I heard them and saw them being brought to temple for a few days prior to Dashain. Yes, part of this festival involves a sacrifice to the gods. This is a tradition which the meaning of eludes many in the West. Yet, it is really quite nice. Just like our Christmas turkey dinner, the meat has to come from somewhere and this tradition insures that the people will have plenty to share. Family members even share candy and other gifts in appreciation of each other. Although this past Dashain wasn’t as exciting as Intri Jatra, it is a very interesting part of Nepali/Hindu culture. As I state in my book, the festivals can be the highpoint of your time in Nepal and although this one doesn’t have much for tourists in the way of fanfare, it is a lovely tradition. Although this was my experience, there are many traditions that the various castes have that I have yet to encounter. The Dashain Festival bonds families and friends. It is a time of sharing and blessings. I am grateful to my hosts for including me in this special celebration and hope that many of my readers will come during the Dashain Festival and use this tradition to get to know a Nepali family better. One of the side benefits to coming during October/November is that the weather is still lovely. It definitely gets cold during treks, but not so bad yet and many flowers are still in bloom. This river is just outside the Valley. It is pristine here. Yes, the river near Kathmandu is polluted, but there are many places just as beautiful as this one throughout Nepal. It is nice to wake up to views like this during this time of year. The white over the hills is actually the Himalaya snow capped mountains. Did you know I wrote an eBook filled with tips on getting the most out of your visit to Nepal? 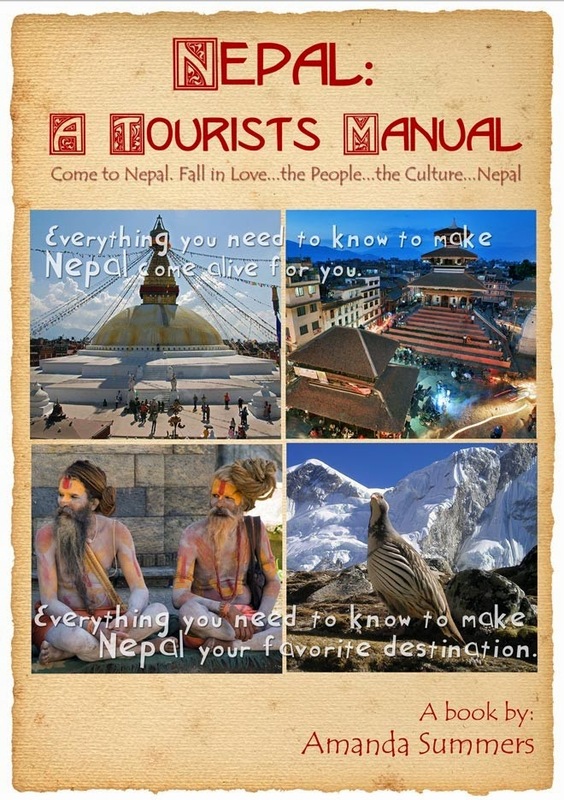 Nepal: A Tourist’s Manual-For more information check out our website. If you enjoy this blog and the website you will enjoy the 299 page eBook. 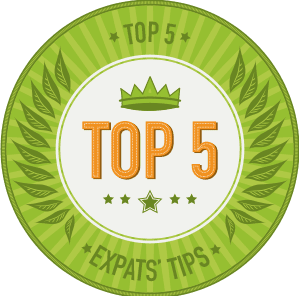 It is a well illustrated, easy read with over 1,000 tips to help you get the most out of Nepal.